I have a set of four fx4 rims with toyo at's(265x75x16) for sale. 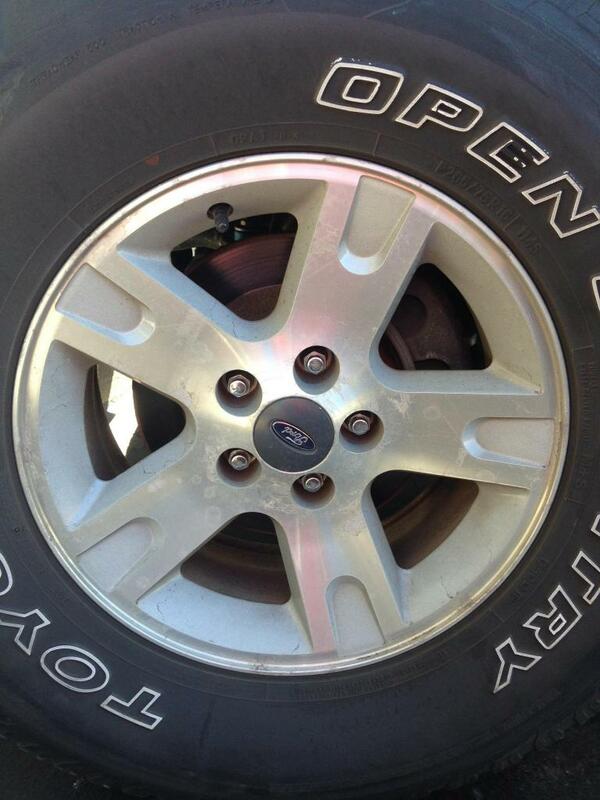 Rims are in good shape and look like the pic provided, the tires have some tread left. I'll wait to take a pic of the tread. Asking 400, serious offers only. Would prefer to sell rims and tires together. Trying to line up a buyer so I can sell these when new rims/tires are installed. Located on the East side of Orlando and would prefer pickup. This is a great deal, these rims are in high demand and also come with a set of tires! Last edited by pcityranger; 02-15-2014 at 08:29 PM. No one may be going "crazy", however I see quite a few "want to buy" posts for this style rim. If I were closer I would love these!